The Veterans Law Blog is pleased to present another first – this is the first time that I am aware that a blog has interviewed a Board of Veterans Appeals Judge – giving Veterans a better glimpse into how the BVA Hearing process works. I met Judge Clementi at a NOVA Conference a couple of years ago. His straightforward presentation helped me to come up with some ideas about how to proactively present our client’s cases better in the BVA Hearing. Judge Clementi has been a lawyer for 33 years, receiving his law degree from Loyola University (New Orleans). He has served as a Board of Veterans Appeals Judge for 10 years, and a total of 24 years with the VA. 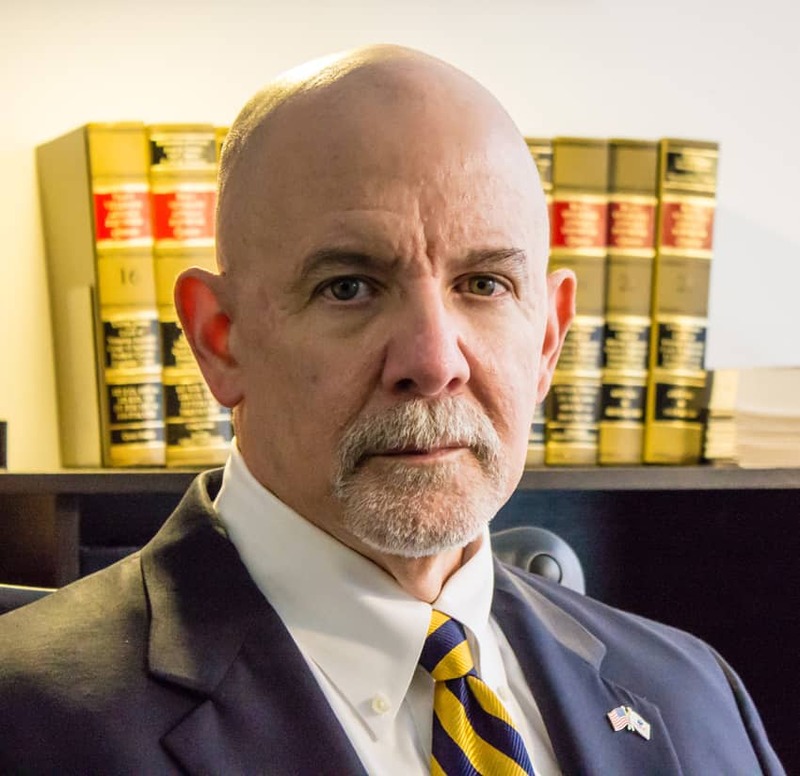 I would like to send out a HUGE thanks Judge Clementi for being gracious enough to appear for this interview with the Veterans Law Blog – and allowing Veterans Law Blog followers and subscribers this unprecedented degree of insight into the VA Claims Process. Also, a special thank you to all the great men and women inside the BVA that worked hard to arrange and approve this interview with Judge Clementi. In the comments below – and in discussions on social media – please remember that Board of Veterans Appeals Judge Clementi is a guest here on the Veterans Law Blog: we treat our guests with respect. Please post any questions for the Judge in the comments section and I will choose some to forward to him for answers. (Nothing case specific though). Veterans Law Blog Note: Links in this interview are meant to help you understand certain terms that the Judge uses. The Judge is not endorsing that post, and he did not reference any posts in his interview. Any links added a re meant to help the reader better understand the process and jargon, and do not imply any endorsement from the Judge or the BVA. Veterans Law Blog: I understand you served in the military – tell us about your service. Judge Clementi: I enlisted in the Army after high school and served with the 1st Armored Division (“Old Ironsides”) in Germany. I was the legal clerk in a mechanized maintenance battalion – lived in the barracks, did guard duty, cleaned the latrine, did “police call,” and the rest. After college and law school, I was with the Army Reserve and completed the Military Police Platoon Leaders Course in Fort McClellan, Alabama. I then reentered active duty as a member of the Judge Advocate General’s Corps where I had a variety of very rewarding and challenging assignments, including prosector, defense counsel, appellate counsel, and trial advocacy instructor. I finished my Reserve service as a Judge Advocate for a psychological operations group. Veterans Law Blog: You’ve been a Board of Veterans Appeals Judge for 10 years – why did you become one…what inspired that career path? Judge Clementi: I am a Veteran of enlisted and commissioned, active and reserve service. For about 44 years I have been around the people that are wearing, or have worn the uniform, or have worn it myself. There is no other way to say it – I feel like I know these veterans and their families, and I want to make a positive difference in their lives. Even if I have to deny a claim, I want the Veteran to know that she has gotten every fair consideration and why the claim was denied in the most understandable terms. I have had several jobs in my legal career, but this is the most satisfying work I have ever done. There is no doubt that it has its frustrations and challenges, but something always surprises me in this work. I’ve learned something about medicine, read interesting military history in original documents, (I once saw Omar Bradley’s signature in a file) and evaluated complicated evidence. It’s a really great job to be doing. Veterans Law Blog: Walk us through the decision process – tell us how the sausage is made…when does a case first show up on the Board of Veterans Appeals Judge’s desk, how does the Judge evaluate it, and how is the decision written? Judge Clementi: I work with several attorneys of different levels of experience and interests. When I am assigned an appeal, I will note the issues presented and make a preliminary judgment on which attorney would be best suited to analyze the case. If a hearing has been conducted, I often review my notes prior to assigning the case to a counsel. The attorney will review the case and draft a preliminary decision for my signature, oftentimes meeting with me to discuss what should be done. When the attorney submits the draft document, I will carefully examine the record and the draft and decide the claim. Veterans Law Blog: In pro-se appeals and hearings, what is the #1 Error you see that, if fixed by most Veterans, could make the BVA Decision process easier/faster? Judge Clementi: The number 1 error I see in cases that make to the Board is failing to gather and submit all the relevant evidence they have as early as possible. By law, the Board may not decide a claim until it is certain that VA has all available and relevant evidence. Our decisions are often delayed because we often discover that there is more information that would substantiate the claim. We frequently then have to send the case back to the local Regional Office to obtain the information. The Veteran can help the Board to decide the case more efficiently by having obtained this evidence – the earlier the better! 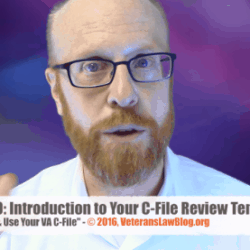 After the Veteran files her claim, VA will send her a letter detailing what the evidence should show, and what evidence would help us to decide the claim in her favor. All claimants with appeals before the Board also received a Statement of the Case, which details the reasons why the claim was denied by the Regional Office. 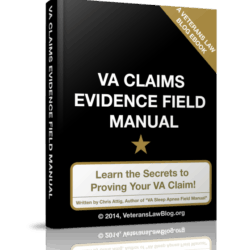 Both of these documents are specifically designed to help Veterans understand both the claims process and what evidence would be helpful to their claims. The Veteran should carefully read this information, and think about the sources of information that may be helpful to her claim. 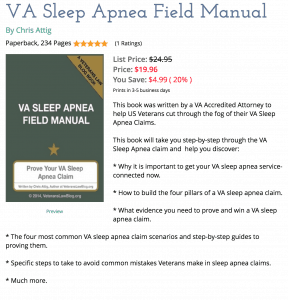 Examples of these types of helpful evidence are medical reports, letters and statements from the veteran’s family members, friends, service colleagues, and employers. If the Veteran does not have this evidence, she should try to locate it, or be ready to provide VA with the address where the evidence could be located. The Veteran should closely read all correspondence sent to her by VA to keep informed of the status of her claim, as well as to assist us in assisting her to an efficient and satisfactory decision. However, when seeking a greater disability rating, information about the SEVERITY of the disorder is relevant, but not how the disability developed as a result of service. One more very important point: Whether it is a claim of service connection or for a higher disability rating, the statements of veterans’ physicians may be very helpful in substantiating a claim. However, the more a treating doctor knows about the accurate history of the Veteran’s disorder, the stronger the opinion will be. Veterans Law Blog: Many pro-se Veterans choose a Travel Board Hearing – they feel like they need their day in Court. What is your take – or what criteria should Veterans consider for each option? Hearing? No Hearing? Video Hearing? Judge Clementi: A Veteran’s wish to have his “day in Court” is to be respected – it is a fundamental right under our law. Although it should not be the major consideration for a Veteran, scheduling the hearing usually takes additional time which often delays the Veteran from getting a decision quicker. The Veteran should remember that the most important purpose of the hearing is for him to present evidence about why the claim should be granted – not merely to voice disagreement with VA’s decision denying the claim. Before deciding whether to request a hearing, the Veteran should consider whether he has obtained all of the important information that is suggested in the letters VA has sent him, to include the “VCAA letter,” the Statements of the Case and any information he may have given the RO during an earlier hearing. For example, a critical part of a claim of service connection is whether there is medical evidence that indicates the disorder was caused by something that happened during military service. 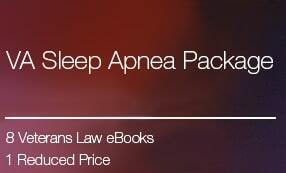 This basic requirement is usually presented to the Veteran on the VCAA letter and the Statement of the Case. However, during hearings I will ask the Veteran whether any medical professional ever told him about this connection, and I am surprised by how frequently a veteran says “yes,” but the veteran has not obtained a letter from his physician supporting this connection. Does he have a box somewhere in the home that he has “been meaning to get to” that has paperwork from service or important medical records, bills, prescription notes, letters from family members, employment records, photographs, etc.? Does the Veteran stay in contact with service colleagues or “buddies” that may recall an important incident in service that is relevant to the Veteran’s claim? I cannot emphasize this enough: Veterans would do well to lay the groundwork for successful completion of their claims by doing this preliminary research and getting the evidence outlined in the VCAA letter and the Statement of the Case. If the Veteran has already done all that preliminary work, he may want to discuss with his representative whether submitting this evidence with written argument is a better option than waiting to have a hearing. Veterans Law Blog: With every passing year, Veterans get more and more choice in their representation. What are your thoughts on each of the different types of representation a Veteran can have at the BVA: VSO Reps? Attorneys? Pro-Se? Judge Clementi: It usually helps both the Veteran and VA for the Veteran to have representation when presenting a claim or appealing a case, but the choice of a representative or attorney is just like selecting any other service provider – the Veteran as client must be satisfied that the representative is the best choice for the particular job at hand. Whether the representative is an attorney or veterans service officer, the representative must not only assist in presenting the claim, but also help explain the law, suggest and develop possible evidence to support the claim, keep abreast of the status of the appeal, inform the claimant of the likelihood of success, and any other information which the claimant wants to know. There are many ways to help a veteran decide whether she wants to have a representative or an attorney – the internet, visiting or writing the Veterans Service Organizations, asking other veterans and their family member for recommendations are just a few. Veterans Law Blog: We have heard about the VA Claims Backlog – and we know that Congress and the VA are trying to address the resulting Appeals Backlog. You have been at this for 2+ decades….do you see it getting any better? Judge Clementi: With very few exceptions, the Board is required by law to decide cases in “docket order.” This generally means that the oldest cases are decided first. However, more appeals are always following, and we try to get them resolved as quickly as possible. Whether it’s a governmental agency, private company, corporation or club, each has a goal of what it would like to accomplish in a given period. The Board is certainly no exception and has a goal of how many appeals it would like to resolve. The Board trains, equips and encourages staff to meet that goal. The Board has made vast improvements in our efficiency in responding to Veterans and their families who are seeking VA benefits. No doubt there are challenges, and the Board must keep pace with developing case law and changes in medicine and technology. Our use of computer-based information research and filing systems has been very valuable in helping us provide an efficient way to decide the appeals. The Board also works closely with the Compensation and Pension Service and the Veterans Health Administration to continually and correctly resolve appeals as efficiently as possible. I’m noticing too that the Board and VA must also deal with new challenges in serving the ever-changing veteran population – men, women, “traditionalists,” “baby-boomers,” “gen-Xrs,” and increasing numbers of “millennials. As with any other area of American life, the generational “cohorts” have different expectations and different ways of communicating and working. These challenges are going to persist, but so do opportunities for the Board and for VA to become more efficient. Veterans Law Blog: What is the single best idea that you have heard for improving or streamlining the VA Claims process as a whole? Judge Clementi: I don’t have a “single best idea,” but I think that the direction the law and VA are taking right now is a good one: increasingly moving toward a greater emphasis on “Veteran-friendly” processes. You can see this by the VCAA notices and the Bryant discussions at hearings. That said, I would like to get the representatives more involved in the development of the claims. They are our very valuable partners in helping veterans present claims. Oftentimes, they are veterans themselves or they are in what may be called a veteran network. They often know the VA process, military culture, the jargon, and where the sources of evidence may be locally. From these perspectives, the representatives can also speak with the claimants more closely and help them define the issues, develop the claim, and sort through what the best approaches may be. Veterans Law Blog: If you could tell the story of one Veteran – the one that encapsulates why you do the work of a Board of Veterans Appeals Judge – what would it be? Judge Clementi: It’s very difficult to narrow it down to just one, but the most memorable was an appeal involving a Korean War veteran, who wanted service connection for frostbite residuals to his feet. During winter combat support operations, he drove a water trailer back and forth from the supply depot to a point a little back from the front. As he filled or emptied the trailer, water would often spill on his non-weather-protected boots, and his feet would get extremely wet and cold, and his feet would frequently feel numb. During our hearing, he testified that he went to the medics twice to get some help. However, both times he went into the medics’ tent, all he saw were infantrymen lying around getting bandaged from clearly severe wounds. He said he never went back into a medics tent because the medical people had enough to do, and although his feet bothered him, it was never so bad in service that he complained. His wife told me that in the late fall after he was discharged from active duty, he asked her to go to the local variety store and buy as many pairs of the heaviest wool socks she could find. These purchases happened every year about the same time. During the hearing I kept thinking about what a military water trailer looks like and what a relief it must have been for the combat soldiers to maybe see it. My Veteran was keeping them supplied with water to drink, make instant coffee in their foxholes, and keep as clean as they could. He did a really great job in very difficult circumstances for those combat soldiers by helping them to have a basic necessity that we take for granted. He’s now been living with the nuisance of painful feet every time it gets cold, and has done so for about 56 years. He had a frostbite diagnosis of minimal severity without a “nexus” statement, but from the pictures alone I could see that his feet were moderately discolored. However, he clearly had documented military duties consistent with his account of the service incident and its residuals. Benefit of the doubt – claim granted – next case. Very informative interview and thanks. Great Interview… I am now more confident that I have a very good claim… I still wish I could get my C-File from the VA (It’s been two years now since I asked) Oh well… Great interview, thanks. What an honor and educational to have your precious time here Judge Clemente. Knowing the process of law and research that may occur during the period a Joint remand is passed from the BVA to the RO,AMO/AMC,etc, I was somewhat or more disappointed by the last letter from the VA, three weeks ago telling me they had looked at the period 1969 (two months there) and found nothing reg. records existing. I immediately replied to letter and informed them the RBA/C-File (they and I have/had) suggested I was stationed there in 1967! This “process” has taken 7-8 months since my remand of January 2017. What about the “expedite/expediting” factor the Court dictates here? Almost one year post remand on a claim/now Appeal going onto twelve years??? Thoroughly enjoyed the insight into the process and enjoyed Judge Clementis advice. Hopefully if I ever have to go in front of a BVA judge they will be as fair as he was ! I remember Judge Clemente very well as a very fair Judge. I was with the VFW and at the BVA for about 7 years before I retired in 2011. I have had many cases with him. He was one of my favorites along with Ron Schultz. A great interview. Thanks, we were really happy that Judge Clementi took the time to talk to Veterans through the Blog! I’ll pass that feedback on to him!